Trump's modus operandi has been analysed in pretty compelling detail through Scott Adams' blog over the past couple of years, through Adams' "Persuader filter". It's hard to buy everything Adams writes, but his thesis does have good explanatory value, and sometimes also predictive power, to boot. Which is never a bad thing. A number of you have said in comments that you've taken to reading his stuff. Anyhow, before Adams gets to it himself I shall rehearse my own understanding of the Firing of Comey through that "filter". Trump fired cruise missile strikes on Syria at the very time he was hosting Xi in Florida (and made a point of telling Xi what was happening, real-time); and then launched an earthquake bomb on some unsuspecting ISIS types just as the US was in talks with China over what to do about Fat Boy in North Korea (who has gone all quiet again, true to type). Can anyone really say that either of those two gambits were clearly unproductive? (Well, Simon Jenkins does, for a start - but he's a bit of a knee-jerker on such things.) I'd say Trump-the-Persuader seems to have the measure of Xi a lot better than most. This time, Trump fires Comey just before he meets Sergei Lavrov. If that isn't as much as to say to Lavrov - hey, tavarish, I have just as much summary power as your boss Putin, including over the folks who are investigating possible links between my campaign team and your mob - then I don't know what else it could be. Of course, he may find out that former FBI Directors have a retaliatory capability rather greater than that of hapless ISIS fighters caved-up in Afghanistan. Being a more imaginative user of the levers of power than the average president doesn't represent any guarantee of success. But we have to reckon there are many more out-of-left-field surprises to come from that source. While those levers are still in his little hands, that is. More to the point... while those levers still exist. One advantage President Trump has is the knowledge about the murder of President Kennedy. Just as Mr Branson was able to use Freddie Laker's experience when competing with BA, to avoid the same fate, I suspect President Trump will be doing the same. I wonder if the head of the CIA will be next to be fired? Ben Shapiro always has a fairly balanced view of what's going on in the world of Trump. As I wrote yesterday, there are two theories as to why Comey would be fired. 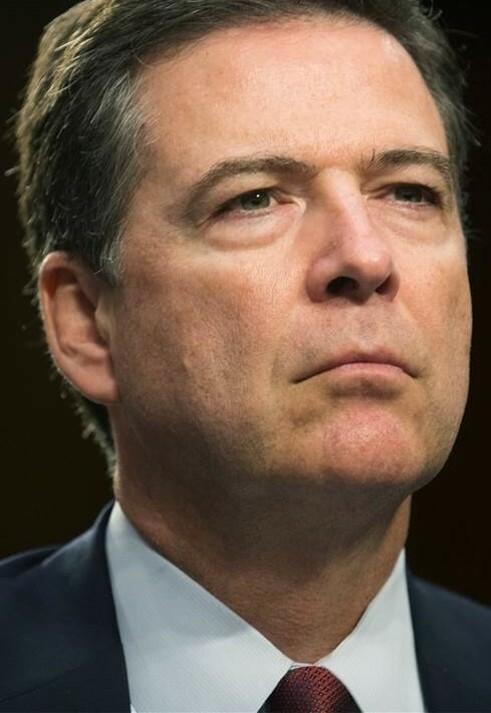 The first: incompetence on the non-indictment of Hillary Clinton, followed by revelations of new material appearing on Anthony Weiner’s computer, followed by exoneration, followed by testimony before Congress making Comey appear even more incompetent. Under this theory, Trump wasn’t just justified in firing Comey, he should have done it months ago. Then there’s the second theory: that Trump is covering something up, that Comey’s FBI investigation into Trump associates’ communications with Russia during the election cycle was reaching a tipping point, and that Trump dumped Comey to kill the investigation. Under this theory, it’s no coincidence that Trump knocked off Comey the same evening CNN reported that the FBI had issued subpoenas to associates of ousted National Security Advisor Mike Flynn, who is under investigation for his ties to the Russian government. But here’s a third theory: Trump fired Comey because he was angry Comey was allowing the Russia investigation to drag along, and used Comey’s ridiculous Congressional testimony as a pretext for firing him. Under this theory, Trump isn’t necessarily guilty of collusion with Russia — at least not knowingly — and he’s merely ticked off that Comey appeared to be dragging his feet while refusing to state openly that he had no evidence of Trump-Russia collusion. There is a funny new cartoon: A frog lying nonchalantly on his back and saying "Relax. Trump only fired Comey. Hillary would have had him killed." Arkancide update: Some months ago, late at night in Washington DC, a Democratic National Committee staffer named Seth Rich was shot twice in the back by two unknown assailants. Neither his wallet, phone, watch, keys, or necklace were taken. Police have since been pursuing the line that it was a "botched robbery."